Alexandria King’s life was ripped away, destroyed by the evil organization Sigma, and one of its most vile leaders, Madame G. Alexandria was imprisoned, tortured, conditioned, and trained to become one of Sigma’s finest Agents - Agent X. Except, despite what Sigma ordered, Agent X’s only mission became keeping the secret of her bloodline, and using it to destroy Madame G. She’s willing to sacrifice everything to carry it out, even her own chance at happiness with her destined mate. 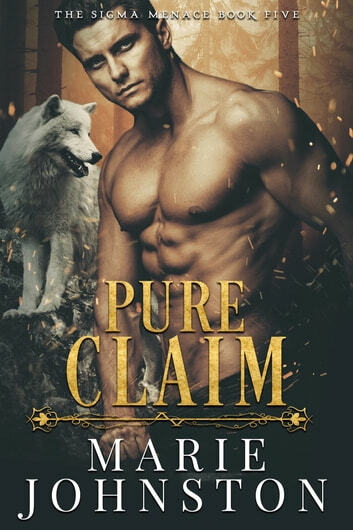 Guardian Commander Rhys Fitzsimmons isn’t willing to let the vivacious, frustrating female, who is supposed to be his mate, throw her life away, even for such a noble cause. When her single-minded mission almost destroys her before she can carry out her destiny, he breaks all the rules to save her. But her destiny was not as they were led to believe, and the real threat to their relationship is bigger than either of them could have known.